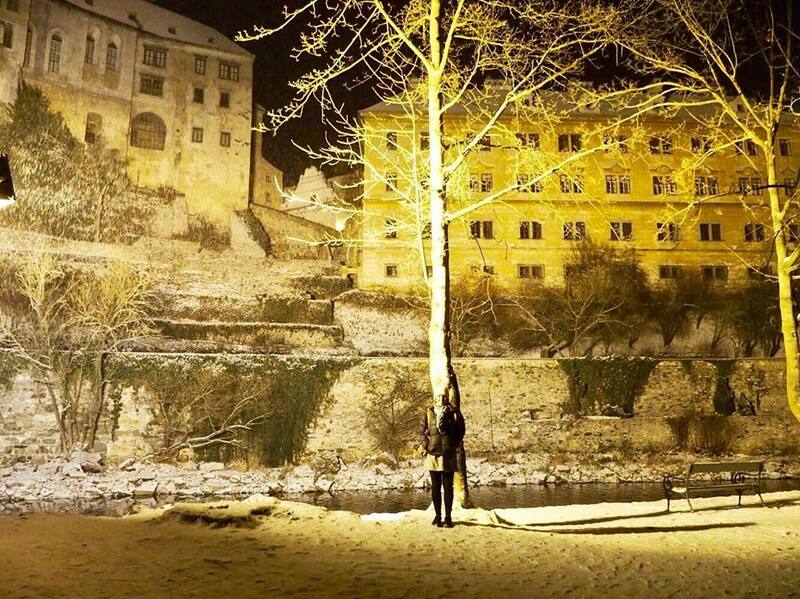 Cesky Krumlov gave us our first taste of heavy snow on our European winter adventure. It is consistently rated as one of the top small town destinations in Europe and is conveniently located between Prague and Salzburg (two other destinations on our trip). 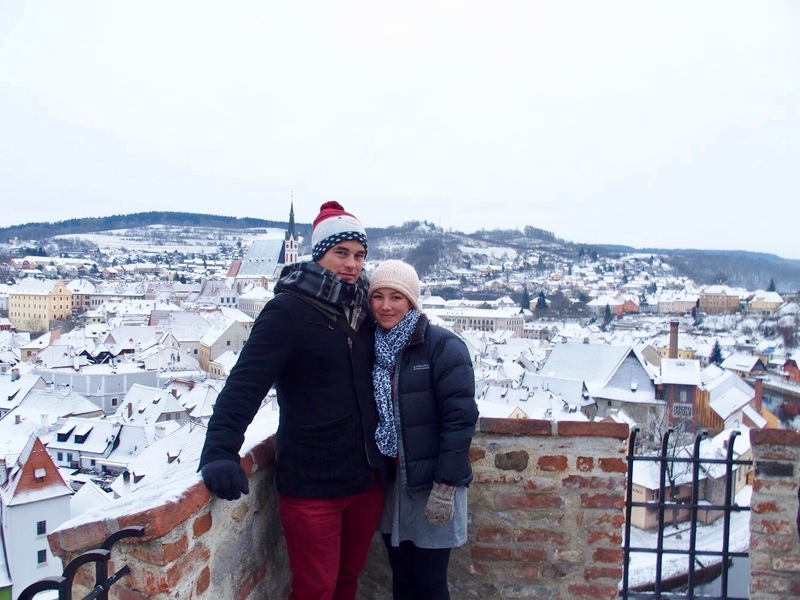 It was amazing to look out over this beautiful town covered in snow from the castle above. Walking around the castle-buildings and palaces, gardens and courtyards, and a moat with resident bears. It was an important site during the communist era and we loved looking into different parts and imagining what it would have been like to live there. The Christmas markets-these were smaller and more intimate than other markets we visited. There were not many tourists around in the evening. We really enjoyed the food, we tried a local bread bowl soup which was delicious. We also enjoyed a vegetarian Indian restaurant called Laibon. Walking the narrow alleys and along the river in the evening. The lighting in the streets and the light from the castle made for a romantic walk in the snow. It was also very quiet with hardly anyone around. The views from the castle were spectacular! 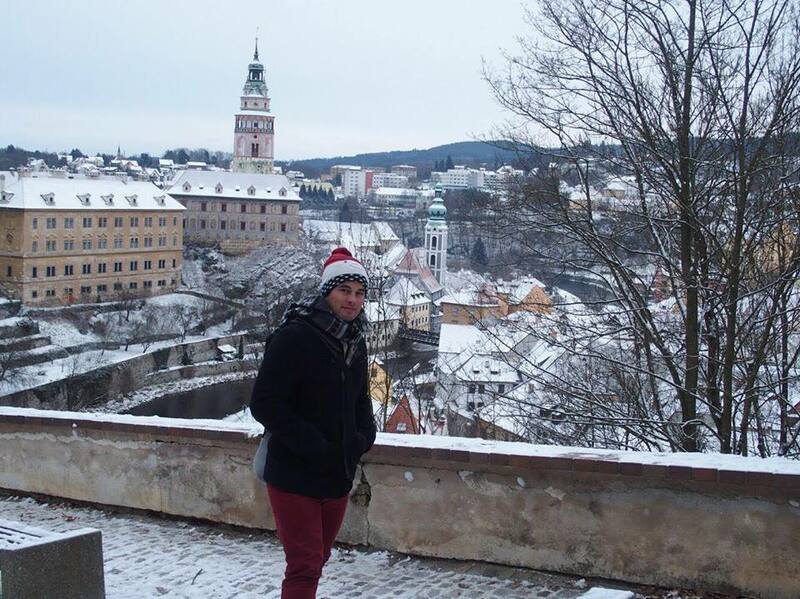 Cesky Krumlov is a popular day trip destination. We definitely would recommend staying a night or two. It felt like we had stepped back in time, especially at night with no locals around, let alone tourists. We used CK Shuttle to transfer from Prague to Cesky Krumlov and Cesky Krumlov onto Salzberg as the public transport options weren't straightforward. We found them to be on time and reliable with good customer service. There is a lot to see at the castle, there were also exhibitions when we visited. There is not much to eat up there and the cafe was expensive. We would plan to be back in the village to eat. One of the locals recommended that we visit the gardens. They looked beautiful but it is hard to appreciate the full beauty covered in snow. Lilah wasn't born when we visited but we would still take her there. These days, we usually rent a car with Lilah but we would have been happy to use CK Shuttle with her. There is a car park at the edge of the Old Town, it is not too far away but would feel quite far carrying a lot of baby baggage. The streets are all cobble-stoned. We would use a carrier instead of taking the stroller. A couple of nights would still be enough time to see everything with a baby. I really enjoyed your post guys!!! Your information is very helpful, mainly when you mentioned to stay a day or two, I've been traveling to places where I wish I had know before and stayed more a couple hours. I'm Vegan So I would love to try your vegetarian restaurant recommendation! 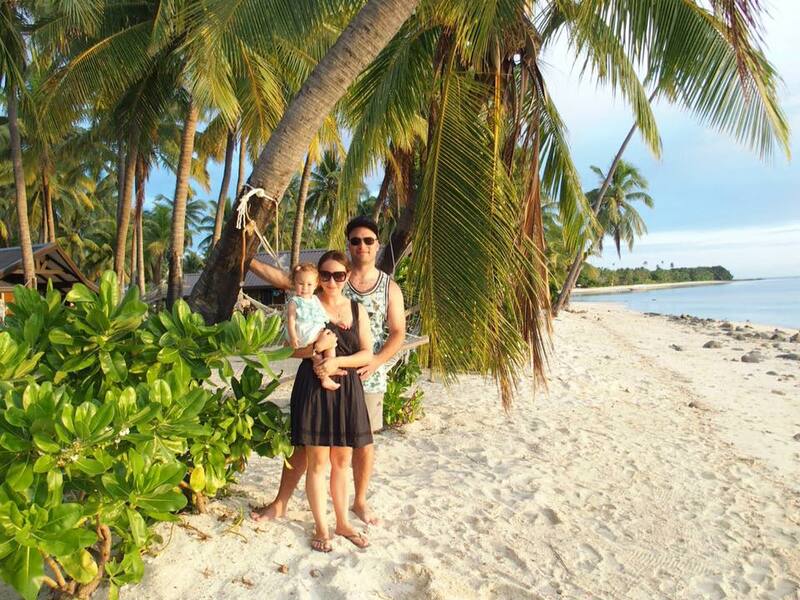 Keep sharing adventures like this one!! !